Furiends remember Basil from Harringtons very kindly donated a prize for my birthday raffle in aid of the RNLI? Well his prize was won by Mieke in Milan, but as I mentioned before since she couldn’t get the food in Italy she kindly agreed to swap with my fur cousins who won a book. They already had a book and were really keen on winning Basil’s prize so evfurryone was very happy with the outcome. I have three feline cousins and three canine cousins who all live with my human’s parents in Cornwall in the UK. Most of you have seen them before in my post Cornish Cousins. I also told you all about how brave Mabel is with her hydrotherapy treatment. Nemo couldn’t wait to get the biscuits in a bowl he was worried the other two might snaffle them I think! 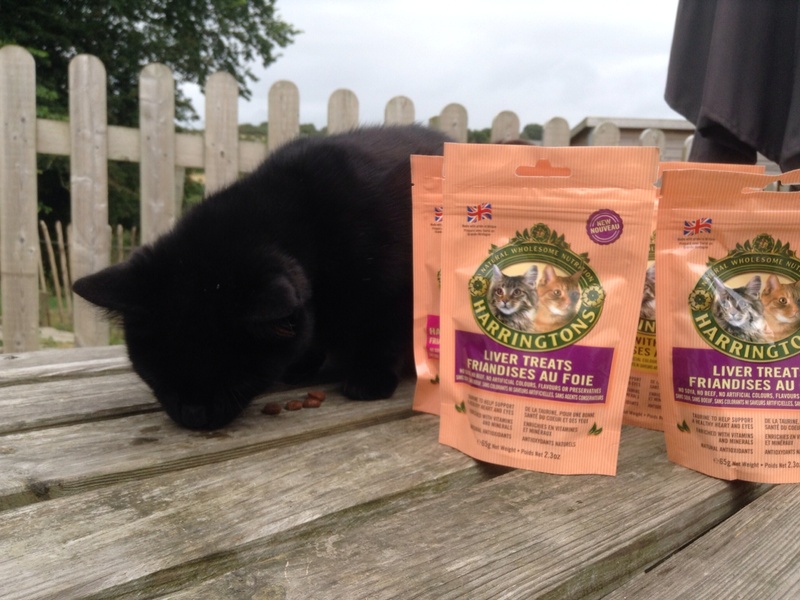 Mabel and Polly had difficulty deciding which ones to try first! Ria, however, had no trouble digging straight in! 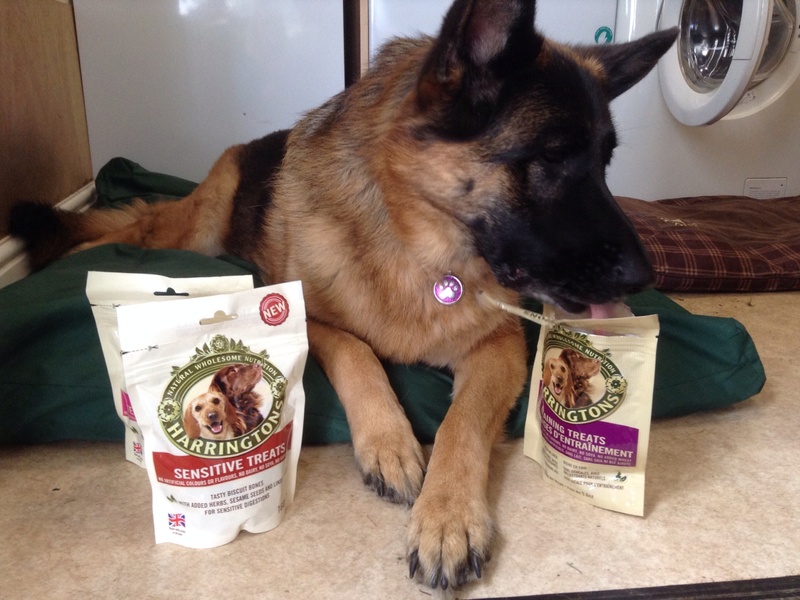 She loved ALL of the flavours. In fact she’s been considering a career in taste testing and would love to go and work at Harringtons with Basil! I’m not sure that Mabel the leader of the pack would allow her to leave though! 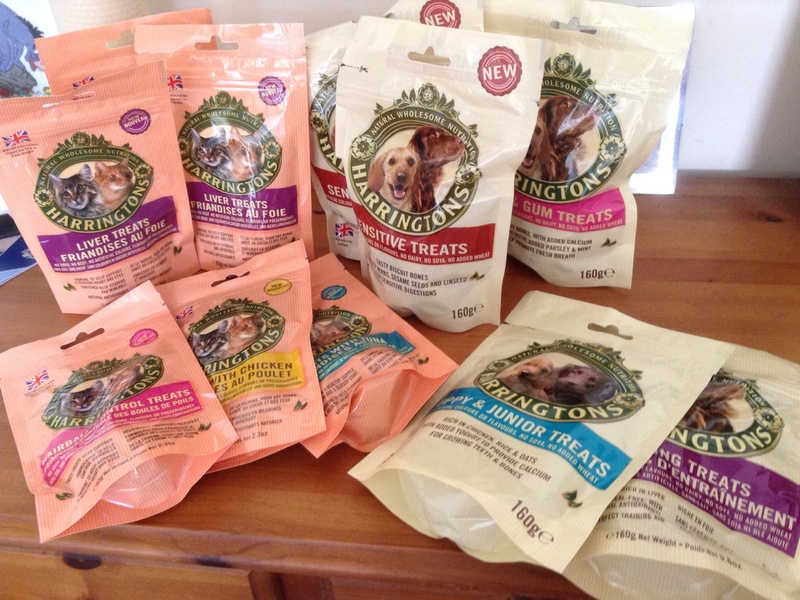 Thank you everyone at Harringtons for such a pawesome prize and if you’ve not already tried their food trust me you really should! 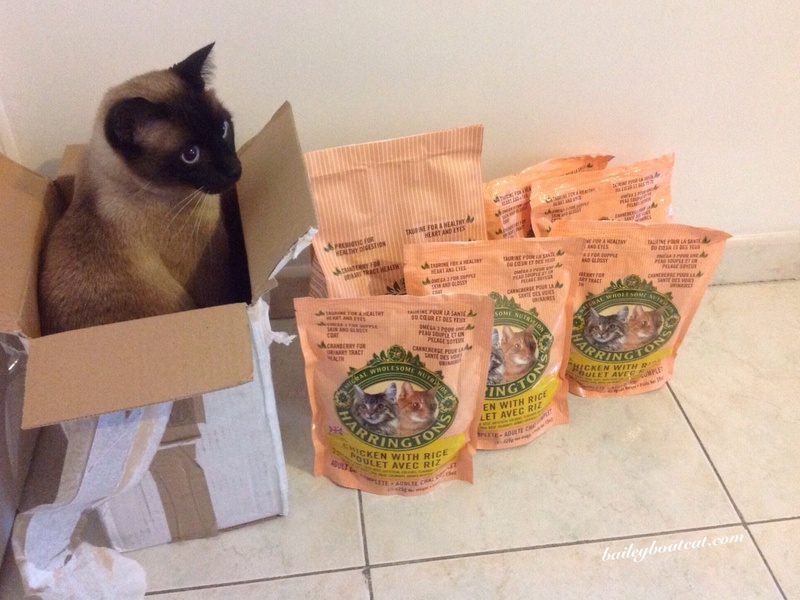 I loved the chicken cat food! I tried it when they first launched their range in France! I know very lucky cousins! 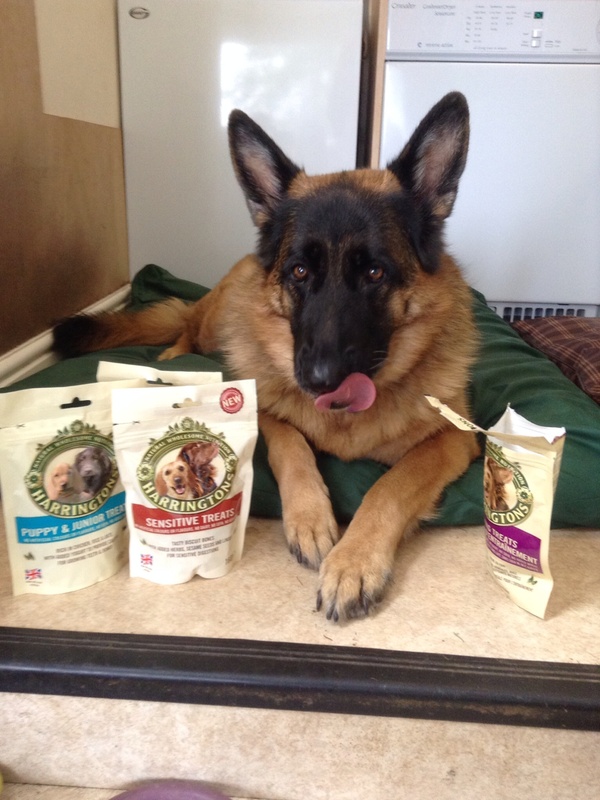 No Harringtons on our side of the pond but Basil really DOES know how to give pawsome gifts……their foods are legendary so I’m sure all those pups are HAPPY! Hopefully they will start on your side of the pond Sammy! Their food is delicious! I can’t get it here in Italy unfortunately but when the humans travel I hope they’ll bring me some back! 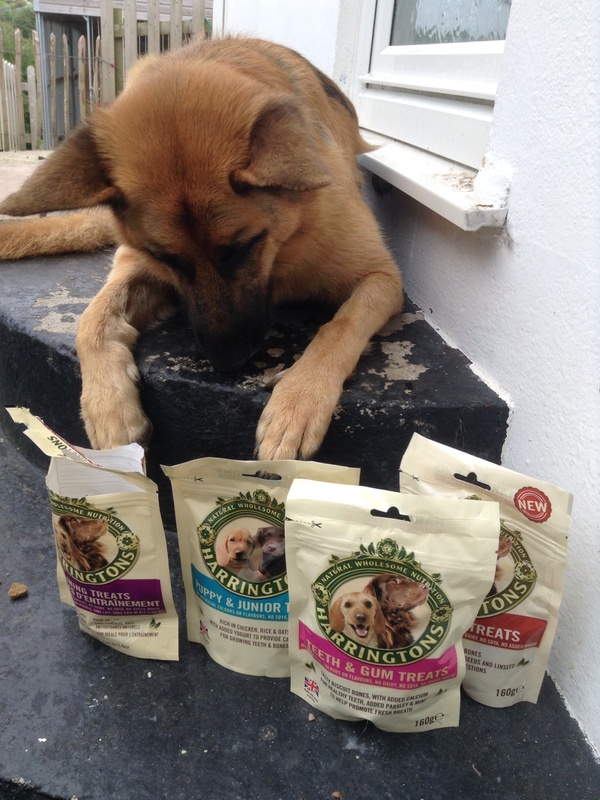 Let me know when they do bring you some – would like to know how the kitty food is – I’ve heard more about the doggy stuff….. Wonderful that everyone enjoyed themselves! Thank you Marty! They had a great meal! I am so pleased to proved popular – those photos are fab. 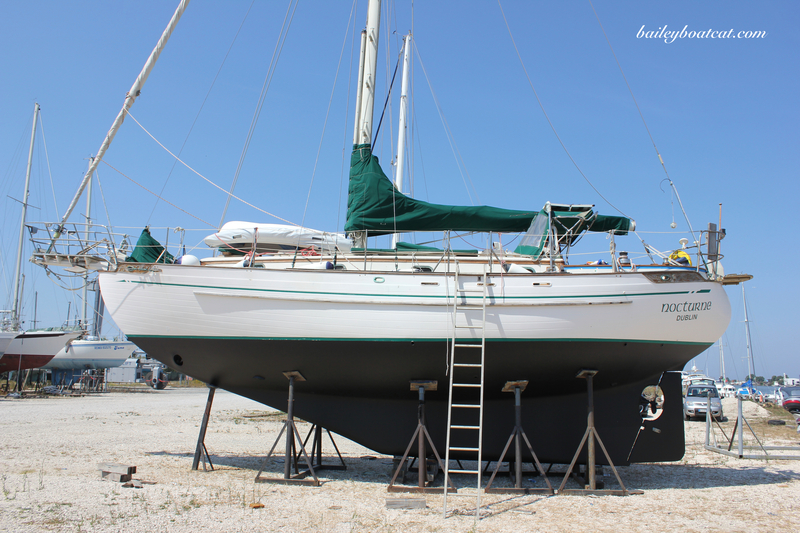 Would you be willing to add them to our facebook page? Of course Basil! I’m not sure if I can do it from my page if not I’ll ask the humans to do it from their accounts.Thank you so much again! Your cousins look very happy with their gifts, Bailey. I particularly love your doggy cousins, my favourite doggies! Yow Bailey Brofur yer such a sweetie to share wif yer poochie Cuss-inz…dey all look BERY happy wif da snackz n treetz…dey are sum lucky poochiez! Hurrah fer Basil!! Hurrah fer Harrington’z too!!! 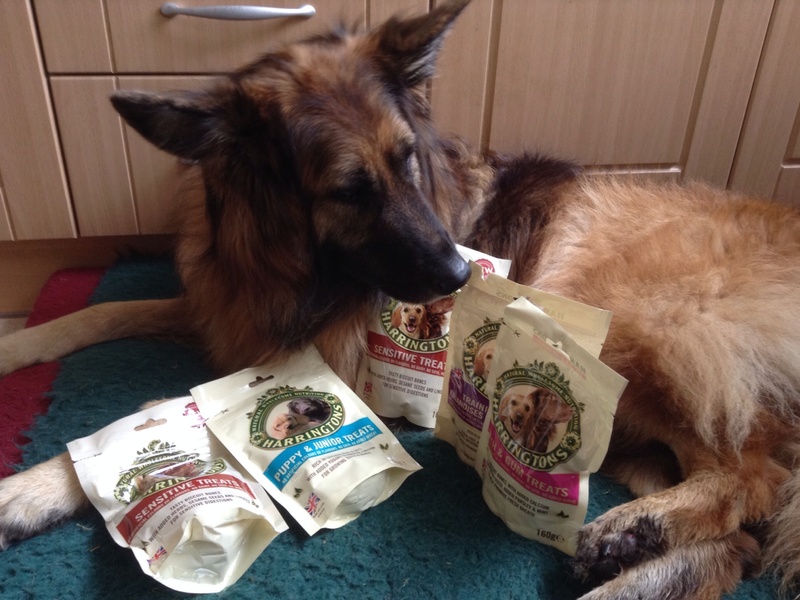 Willow cat snaffled up the chicken cat treats, she loves them and Hilda dog adores the doggy treats. They make such lovely bits for the fur babies.